Various builders are coming up with excellent commercial projects in Gurgaon. When we talk about commercial property, you have options like office space, retail space and industrial space – all you need to do is determine what will suit your requirement. Each property offers different features to the tenants depending on factors like location and nature of business. But before you select a commercial property for rent, it is very important to understand the difference between the properties available. Let us have a look at the difference between retail space and office space. Visuality: The visibility of your store is something that matters the most. People should be aware of your presence and for that your logo should be clearly visible. Before deciding on the the space, find out where are how can you display your logo. Accessibility of the store: The next thing that you should look out for is the accessibility of the store. Visitors should have an easy access to your store even if the surroundings are busy. Availability of parking space: The visitors should have the facility of parking their vehicles in a safe place. 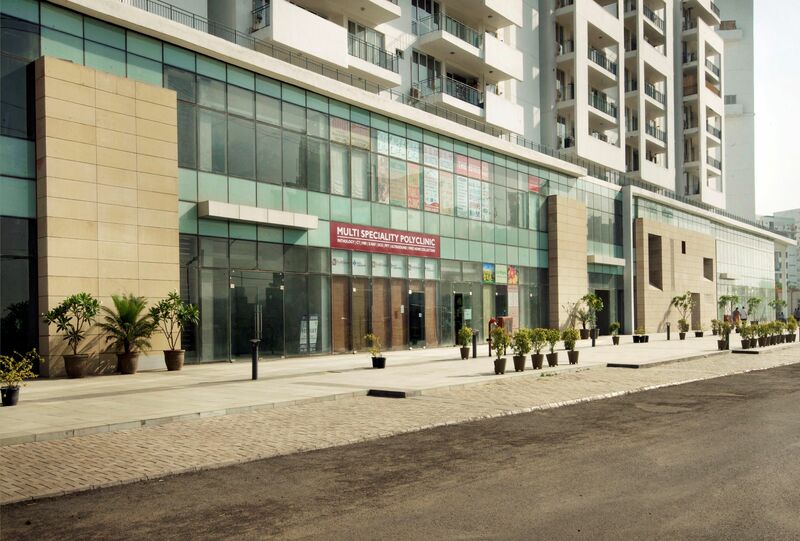 When you look out for a retail space, do check if there is ample space available for parking. When you compare a retail space with a traditional office, the latter is certainly less expensive. The lease of the office space is generally for a long period of time and can be easily renewed. If you are willing to opt for an ideal office space, that too at an economical price, there can be nothing better than a office space on lease. Here are a few factors that should be considered before making a decision. Visibility: It is very important to check the location as it is one of the prime factors that affects the visibility of a business. Relocation: If in future you plan to relocate, how will your customers be informed about it? This is something you need to think of in advance. Convenience: The convenience of the customers is of utmost importance. Make sure that before finalizing the space, you check that the location is easily accessible. It is always a great choice to seek the advice of a real estate agent as he will understand your requirement easily and guide you on the right kind of property. This entry was posted in Commercial Properties and tagged Commercial office space for rent, commercial projects in Gurgaon, commercial property for rent, Commercial Retail Space on October 15, 2014 by Admin. Why Real Estate Property In Gurgaon? Gurgaon is one of the cities with the best infrastructure and property options. There are several reasons which explain why the city has managed to score above other cities. One of the many reasons includes the presence of several real estate companies. Over the past few years, the city has established itself as a prime location for various big and small national and multinational companies. The city has several builders investing in real estate property. 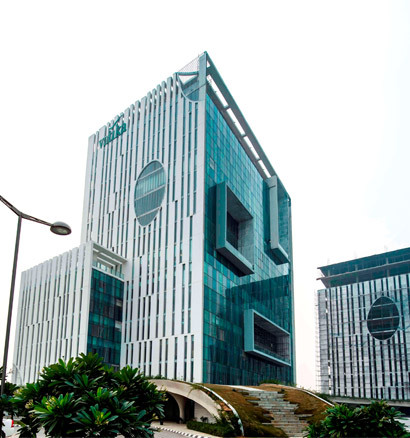 Gurgaon is not only known for residential projects, but also commercial office spaces. Buying an office space is not the only option available; you can also opt for commercial property for rent. There are several reasons why having a commercial office space for rent in Gurgaon is beneficial. One of them is the location which needs to be easy to get for both employees and clients. Moreover, if your office is in a reputed area, it adds up to a status. Another important factor is safe neighbourhoods in order to make the office space accessible for your staffs even in the late hours. Gurgaon is also well connected through metro, monorail, buses and auto, along with domestic and international airports in the vicinity. The city also has well managed office spaces in Sector 83. Gurgaon offices have proper 24X7 CCTV and a security guard at all its office buildings. These office buildings are earthquake resistant and have fire safety alarms. The layout of office spaces, here, is properly managed in order to provide adequate working space and provide spacious cubicles. These offices also have a separate meeting, conference and training rooms. Additionally, the buildings of offices in Gurgaon are constructed with all the added benefits, which include adequate parking spaces in order to make the parking convenient for employees and visitors. In the proximity, there are national and international banks, ATMs, hospitals and medical centres for the emergency. Besides commercial spaces, Gurgaon also boosts residential properties with utmost facilities. Gurgaon has some of the best schools, colleges and shopping malls for the residents. The city is complete in itself with all the basic and modern amenities. This entry was posted in property investment, Real Estate Development and tagged Commercial office space for rent, commercial property for rent, office spaces in Sector 83. Gurgaon, real estate property, real estate property Gurgaon on August 30, 2014 by Admin. Why Choose Commercial Property for Rent in Gurgaon? Getting a commercial property for rent in a city like Gurgaon will definitely reduce the operation cost of the business. Especially if you are a start-up or have a small scale company, renting an office space in Delhi NCR is beneficial. Gurgaon is speedily emerging as the residential as well as commercial nucleus for professionals working there, along with gaining popularity owing to its proximity to the national capital. Today, many start-ups are investing in the city in order to gain high popularity. The immediacy with the domestic and international airport is one of the advantages, which makes the city a preferred location for most industrialists and foreign investors. Find prominent and trusted builders who have created a niche and has some big projects on its name. Check different commercial properties already built in the city, along with the type of designs used. Moreover, in this modern world, it is very essential to have a building with the latest infrastructure, ample space, neat and clean atmosphere, security systems installed and more. Confirm about the material used for the building. Ensure the material is environment friendly. Next is the location. It is very important to select the property location wisely. Also, it is recommended that location should be close to metro, airport, important facilities like bank, ATM and more. Check the price of the property. Make a budget and ensure that your commercial property is available within your budget. Therefore, while choosing the commercial property for your business, keep these points in mind and only go to a reputed builder involved in commercial real estate, Gurgaon. This entry was posted in Commercial Properties and tagged Commercial office space for rent, commercial property for rent, commercial real estate, office space in Delhi NCR on August 13, 2014 by Admin.